The acoustic guitar is able to produce a sound that is very different than its electric brother. Its use of natural vibrations, rather than electronic assistance, generates more soothing, calmer tones. 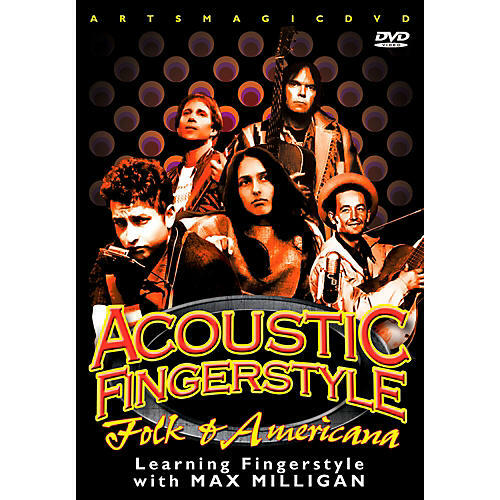 In Acoustic Fingerstyle - Folk & Americana, the first release of the Acoustic Fingerstyle series, instructor/host Max Milligan shows how to get the most out of the acoustic guitar, teaching ways and techniques used by legendary professionals such as Joan Baez, Paul Simon and Bob Dylan, to help you develop into a fingerstyle of your very own. For instance, you'll learn how to bring common chord patterns to life with chord extensions and open string voicings. Your instructor Max Milligan is a Guitar Institute Instructor and Senior Examiner for Registry of Guitar Tutors (London College of Music).